Installing a steel carport is an excellent way to add space to your home and protect your belongings. 4. Durability In addition to resisting weather damage, rust, and corrosion, metal buildings are more durable than wooden structures. A metal building is an excellent choice for your needs and budget, and WZH Portable Buildings will help you choose the perfect structure. 2.Weatherability We are using 1050 g's PVDF membrane material, the surface has UV protection coating and it can prevent the sun ultraviolet yellow change. 3.Light transmittance The light transmittance of membrane structure carport is very good, the light transmittance can be as high as 20%. We can design and produce different style and function awning and zip screen according to customer's requirement and produced under serious quality control system. 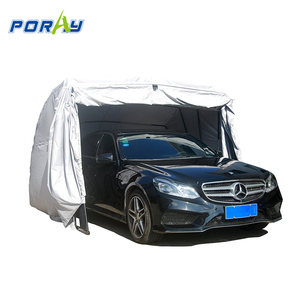 Car awnings 1.Roofing material: polycarbonate sheet 2.Frame material: aluminum alloy 3.Frame finishing: powder coated 4.Frame color: bronze/irory white (customized) 5.Carport color: bronze, clear, blue, etc. 6.Standard size: 3mx5.5mx3m, 6mx5.5mx3m (customzied) Features: 1.Quality material: imported GE Bayer material, with UV coating on both sides 2.High light transmission: 89% light transmission, without yellowing or atomization under the direct sunlight. 3.Wide service temperature: -40&#8451; to +120&#8451; 4.High impact resistance: virtually unbreakable with an impact strength 300 times greater than glass and 5.20-30 times greater than acrylic sheets 6.Excellent heat insulation: able to block 1/3 thermal energy. We have established long term business partnership with Sabic and Bayer suppliers. The products have won good reputations from our customers and help us to build long term business relationship with them. Unique provides you not only the products, but profession and future. 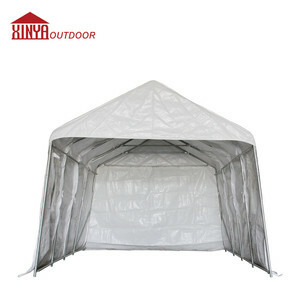 Qingdao Xinhaolida Industry Co., Ltd.
Alibaba.com offers 29,445 car shelter carport products. About 54% of these are garages, canopies & carports, 4% are prefab houses, and 3% are solar energy systems. A wide variety of car shelter carport options are available to you, such as pe, poly, and pvc. You can also choose from metal, plastic, and wood. As well as from pvc coated, not coated, and pvdf coated. And whether car shelter carport is nature, heat treated, or chemical. 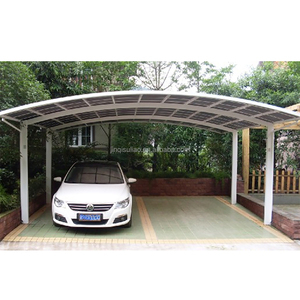 There are 29,334 car shelter carport suppliers, mainly located in Asia. The top supplying countries are China (Mainland), United Arab Emirates, and Japan, which supply 99%, 1%, and 1% of car shelter carport respectively. 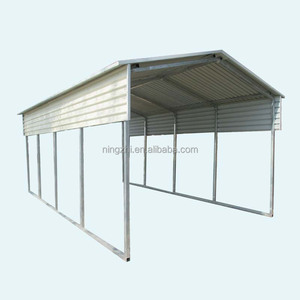 Car shelter carport products are most popular in North America, South America, and Domestic Market. You can ensure product safety by selecting from certified suppliers, including 8,420 with ISO9001, 2,884 with Other, and 2,564 with ISO14001 certification.